Want to see an example of a multi-page website using Prismic? Look no further! 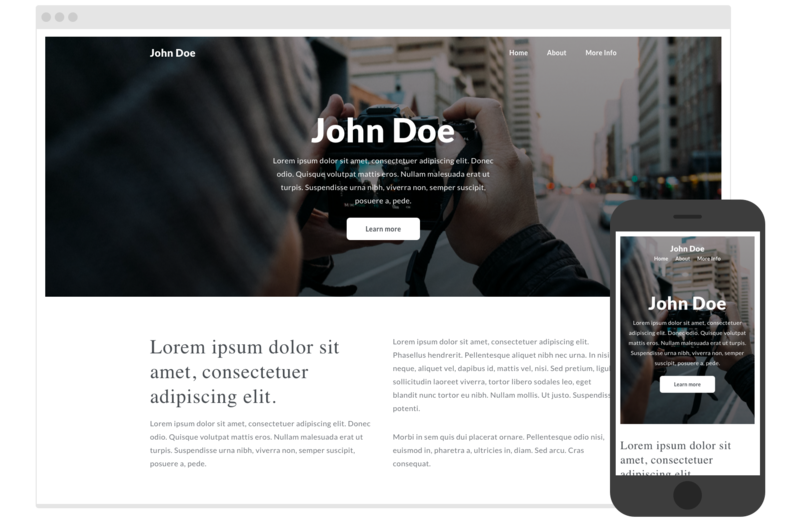 In this project, we provide all the code you need for a personal website with a homepage, information pages, and a navigation. Let's see how to set up Prismic to get this up and running. You will only need one instance of the "homepage" type, so this will be a Single Type. In the repository you've just created, go to Custom Types, create a new type, select Single Type, and give it the name Homepage. Make sure that the system automatically assigns it an API ID of "homepage". Once created, paste the following JSON into the type editor and save. "placeholder" : "Image Gallery Title..."
Go to Custom Types, create a new type, select Repeatable Type, and name it Page. Make sure that the system automatically assigns it an API ID of "page". Once created, paste the following JSON into the type editor and save. Start by creating three pages: a homepage and regular pages. Create a new custom type, select Single Type, and give it the name Menu. Make sure that the system automatically assigns it the API ID of "menu". Once created, paste the following JSON into the type editor. Save. Go to Content, hit New, and choose the Menu type. Give the menu a title and add all your pages. 2) Click on Link, then “What kind of link do you want to insert?,” select “Link to a Document,” and select the appropriate page.